The IkarianWine Club is an agrotourism unit with an organic farm and winery where small groups of guests stay in two stone houses. The unit was set up by George Karimalis and his wife Eleni when they returned to their native home to dedicate themselves to environmental work on their own land. They live there with their four children.Ikaria is a medium sized island with a unique environment and a variety of interesting places. It has mountains, large free-standing rocks, quiet beaches and clean seas. Much of the island is covered with pine and oak forests. It has an abundance of wildlife, and looks particularly beautiful from October to May. The island is featured in a new book called Blue Zones, which lists the places in the world with the longest life expectancies - Ikaria comes near the very top. Historically, at least, a simple, frugal and mainly vegetarian diet - even today a surprising number of islanders are basically vegetarians who eat some fish and perhaps goat meat on a special occasion. Abundance of locally-grown, organic fruit and vegetables - they are very proud of the fact that organic agriculture has been the tradition on Ikaria and is not a recent fad. Ikaria is ideal for guided mountain walks. Our guests can also enjoy cycling in the pure nature of the island. The property is located to the northwest side of the island, in the hill village of Pigi. It is in the middle of a pine and oak tree forest 3 kilometres from the seashore (about 10 minutes by car).The farm is certified as organic and offers its guests organic meals. We offer our guests courses about the light Mediterranean cookery, which is a new and unique cooking style. There we combine the taste of the traditional Mediterranean recipes, using organic ingredients, with the benefits of the islands light cooking that keeps all the nutritious content of the food. The courses take place in the kitchen of the agritourism centre. At the end of each session, the guests have lunch with the prepared food. An educational resource on responsible travel has recently been launched to help travelers, hoteliers, and local communities develop and promote environmental, social, and cultural sustainability by increasing awareness of issues affecting tourism and showcasing best green practices for hotels. So, you want to come to South Africa, but NOT to watch football. And everybody tells you – you’ve got 2 choices – Kruger Park or Cape Town. Kruger, for all its magnificent wildness, also comes with the niggling fear of mosquitos and malaria. And Cape Town, for all its sophistication and beauty is, well, like staying in Europe. So what do you do now, cancel the African trip and go to Malaga? No. There’s a great solution for adventurous travellers . Go to Cape Town. See the City. Do a Wine Route. Do another wine route, this time with a different dedicated driver. Then, expand your horizons. Route 62 takes you through the southern end of the Karroo, ending up in Oudsthoorn and George/Knysna. Now here is the secret. You are at the beginning of the Garden Route, and the start of the Eastern Cape Province – where the Real Africa begins. If you take it slow, there are days of fun, beauty and learning ahead of you. You can leap off the highest commercial Bungee jump in the world (or preferably watch your mates doing it), do a canopy tour, sliding 30m above the ground, in an indigenous forest in the Tsitsikamma; take surfing lessons on the perfect waves in Jeffreys Bay, go on a respectful, enlightening township tour in Port Elizabeth, all the time getting closer to your final destination – Addo. Make sure that you’ve set aside at least 2 days for Addo, and preferably more. Home to the big 5 (in fact the Big 7 if you include the marine reserve in Algoa Bay), there are enough attractions to keep everyone interested. 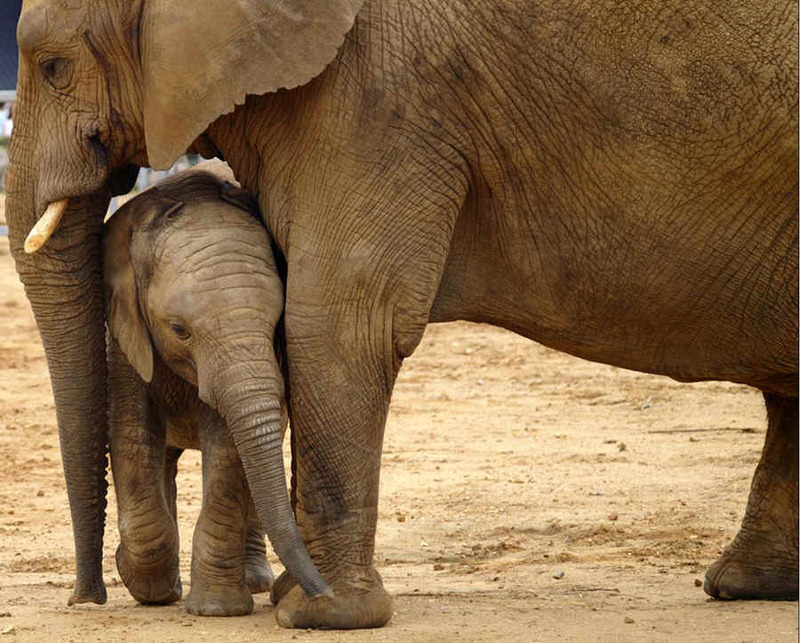 Home to more than 500 elephants, the Park offers some of the best elephant viewing on the planet. And, if you want to experience these magnificent animals close up, there are opportunities to ride them, or walk with and feed them. Many operations offer guided tours around the game areas, where you are guaranteed to see all the wildlife you can imagine. Or maybe, you would like to take a self-drive through the Addo Park, relaxing at a watering hole, while a herd of elephants use up all your digital camera storage space. There are places where you can get guided tours of reptiles, raptors, cheetahs and crocodiles. Oh, and did I mention that we’ve banished all malaria carrying mosquitos? And while you are there, why not stay at Rosedale Organic Farm Bed and Breakfast www.rosedalebnb.co.za, where you will be given a warm welcome, comfortable and secure lodgings, and experience our ‘can-do’ attitude. Obviously we have all been deeply affected by the earthquake disaster in Haiti last week, and want to add our support to all of the poeple of Haiti, and to the emergency and relief services out there. Whilst we all sit safe in our houses this week, share a thought for the amazing people who drop everything to help those in their hour of need. If you can do anything to help, please do, if we all help a little we can make a big impact on this already under-developed country, as it is going to take a long time for the infra-structure to get back on its feet. One way for you to help the people of Haiti is to donate to a well-respected charity with experience in medical and disaster relief. Haiti needs immediate assistance, and these organizations already have teams in place to assess the damage and provide the emergency medical care, food, clean water and shelter that people need. You can help by simply one click of your computer through care2 - your free daily click generates donations for earthquake relief through Oxfam. How your click helps Oxfam America Your free click generates donations from our sponsors. You may click once a day, every day. 100% of the donations raised go directly to Oxfam America and help provide emergency water and sanitation services to earthquake survivors in Haiti. The Ecohelpline.com will be the first of it’s kind to offer a Free Eco Best Practices Course to help people and businesses go green. The course is online and free. Our primary focus is hotel management and staff, however the free training lessons are useful for everyone. As global warming, energy crisis, and endangered species are becoming more of a reality there is a need for training to help everyone become involved in these issues. With a free online course, there is no reason why everybody can’t get more informed and involved. Our main goal is to promote environmental best practices in the tourism industry and beyond. The Green Leaf certification can be of strength to all the workers in the industry, by becoming an important addition to their c.v., to carry with them and enhance, in the long term, the tourist industry. The Eco Best Practices Course leads to the Eco Helpline Green Leaf Certification, giving recognition to hotel employees for their eco commitment; a first for the Industry. The Eco Best Practices Course consists of 5 modules, Water, Energy, Waste & Recycling, Nature Conservation and Community Development. By taking the course hotel executive and staff will have a better understanding of environmental issues. The green ideas suggested in this course, will help hotel executives and staff implement green ideas, reducing the environmental impact of their hotel property. www.ecohelpline.com is an all new international partnership of experienced industry leaders from a range of areas across the tourism spectrum. The three partners are: Hemant Thite, Renewable energy expert, Lise Tyrrell, Eco lodge, hotel. and resort specialist, and Jem Winston, of 3 Rivers and Rosalie Forest Eco Lodge in Dominica, and Education Director, SLIC Dominica, offering community workshops in renewable energy and assisting participants with funding to purchase their own systems. We have formed a global partnership to help people and businesses go “green”, starting with hotels. Gecko Villa was launched in 2000 amongst the rice paddies of Northeastern Thailand, a part of the kingdom seldom visited by travellers, who tend to follow the crowds to the tourist destinations of Phuket, Pattaya or Chiang Mai. The aim behind the project was to create sustainable employment in the region, to avoid economic migration and the traditional breakup of families by offering guests the possibility of escaping from the homogeneity of city hotel rooms to the comfort of their own house and a private swimming pool as well as freshly cooked meals – in the heart of the countryside. Guests may either enjoy the villa in complete privacy, or allow themselves to be integrated fully into the local ways of life by the local villagers, who are best placed to explain time-honoured traditions and details of the local culture and accompany visitors to hard-to-find local areas of beauty or historical interest. There is a wealth of things to see and do; from World Heritage museums to visiting small rural villages, schools, markets and temples, to music and morlam festivals, to experiencing traditional rites, or simply enjoying areas of natural beauty with lakes and waterfalls. As those who have visited the northeast (or “Isaan” as we call it) will testify, Isaan is known to have the most friendly and welcoming people in the country, and offers guests the chance to “go local” in a region mostly unchanged by rapid industrialization. The timing of any visit to Isaan will largely govern what you will see and experience there. From May to October most locals are busy ploughing and planting the rice paddies, so the area is green and fertile. Guests may be offered the chance to try their hand at ploughing or planting in the paddies: but be warned, this is hard work! December and January are considered the cool season: although days are hot and sunny, nights can be cool and fresh. From February and through till May the region really gets very hot and a splash in a pool or lazing in a hammock is always more appealing than strenuous labour. The food in Isaan will be one of the highlights of your visit. Whilst the people of Isaan are famous for their ability to eat whatever moves (including lizards, snakes, frogs and insects), the region is home to numerous spicy and fresh dishes that are now favourites throughout Thailand. At Gecko Villa, the local owners are delighted to be able to show guests both Thai and Isaan cooking - not from inside a kitchen, but by taking them through our garden, picking the fresh herbs and spices needed, and then showing them how to make more unusual specialties. They grow much of their own produce organically, including pandanus leaves, kaffir lime leaves, limes, mint, coriander, mangoes, papaya, passion fruit, jackfruit, etc. Controls water and electricity consumption using both traditional and modern methods, and harvests rainwater. Distributes all profits within the local community, & creates employment in one of Thailand’s poorest regions, preventing economic migration. Helps the local community via donations of equipment and funds to village schools. Takes demonstrable steps against deforestation, and plants new trees regularly to help sustain the local ecosystems. Promotes local ways of life and cultural heritage. But at their heart is the wish to offer very enjoyable holidays to a variety of visitors, thus promoting the idea that responsible travel is fun! Do visit www.geckovilla.com and consider staying there during your next trip to Thailand! Will the credit crunch usher in a green backlash, as people abandon environmentalism in favour of what they consider more pressing economic concerns, and how should the green movement respond? Throughout the weekGuardian has asked a number of leading thinkers to assess the lessons of history and the changing tactics necessary to deliver their agenda during a recession. But what impact will the fiancial crisis have on the Green Travel Industry? Harold Goodwin of the responsible tourism Awards, announced this week, explains how tourism can and should be a force in these cash strapped times. All the champions of responsible tourism report high levels of repeat bookings and referrals; tour operators say that responsible tourism has been good for their businesses. Caroline Bremner of the market research company Euromonitor, which released its Global Trends Report at this week’s World Travel Market in London, reports that “the desire for environmental responsibility, social interaction, authentic travel experiences and fair trade practices” has more relevance to more travellers in the current economic environment. But that change in our attitude to travel has been a while in coming. According to a recent article, Between 1/4 and 1/3 of the global population does not have access to electricity. It is predicted that the rate will be less in the years to come but also that the nominal amount will remain roughly the same, i.e. 1.5-2 billion people. The majority of them living in Africa and on the Indian peninsula. Irresponsible Tourism is a forum designed to give YOU an opportunity to blow the whistle on practices in the travel and tourism industry which you think are irresponsible, and to discuss them with others.